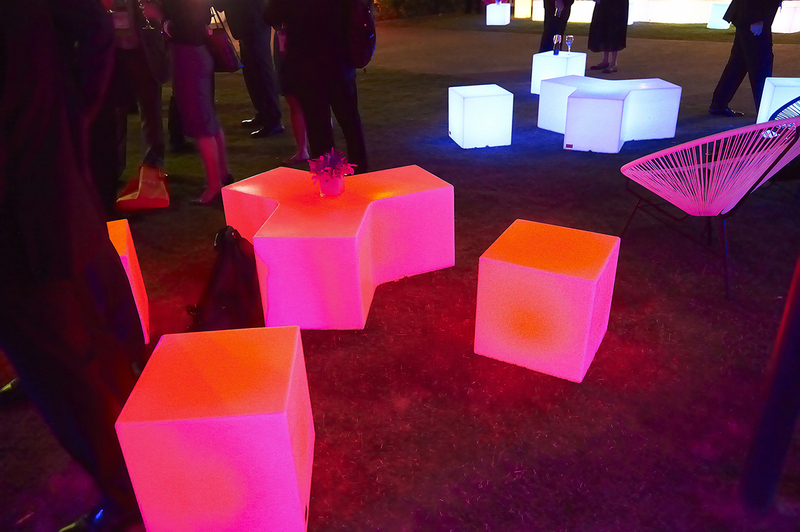 To transform the Summer Garden at the Perth Convention and Exhibition Centre into an outdoor Cocktail Party for 500 guests. 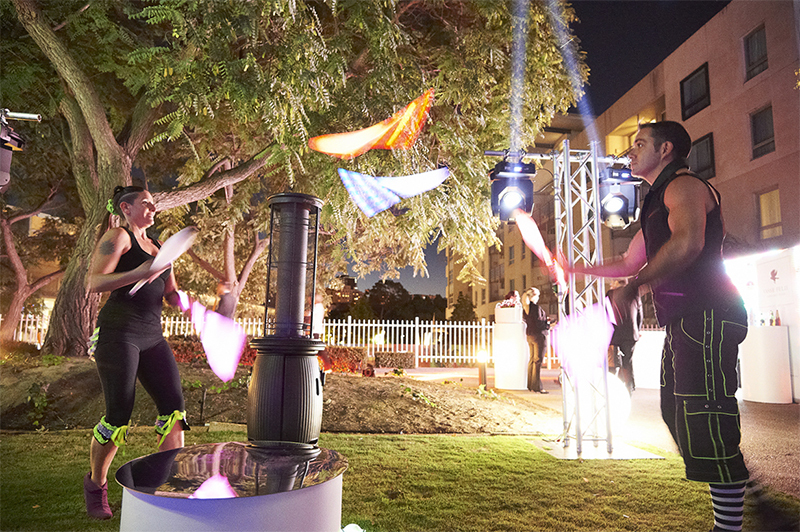 Based on a Kaleidoscope theme created by Lux, the space was brought to life by using six Dome Marquees which spanned over 500sqm. 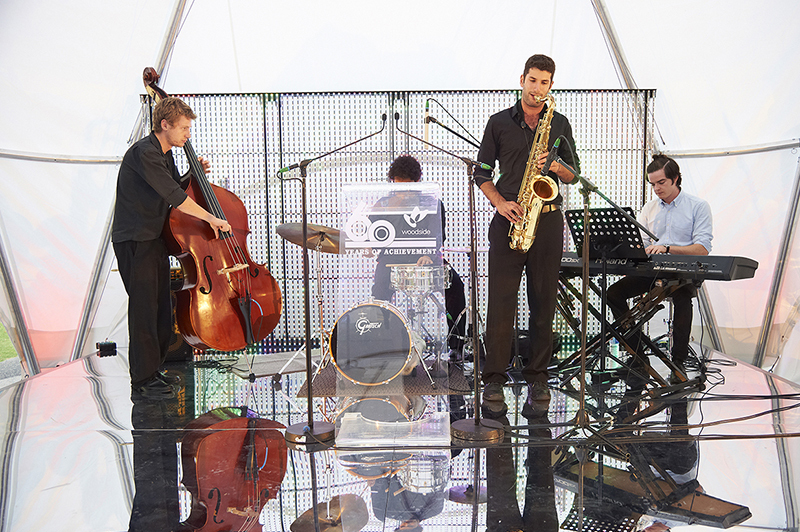 This arrangement of interlocking large and small dome marquees provides a stunning decorative element and shelter in the event of bad weather. 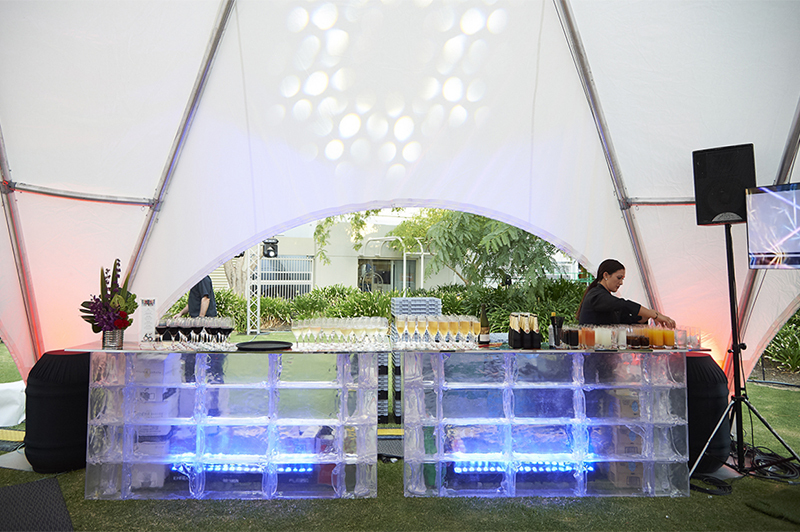 The layout of the food stations and bar within the space guided the guest experience with creative kaleidoscope projections being used to carry the theme across the garden venue. 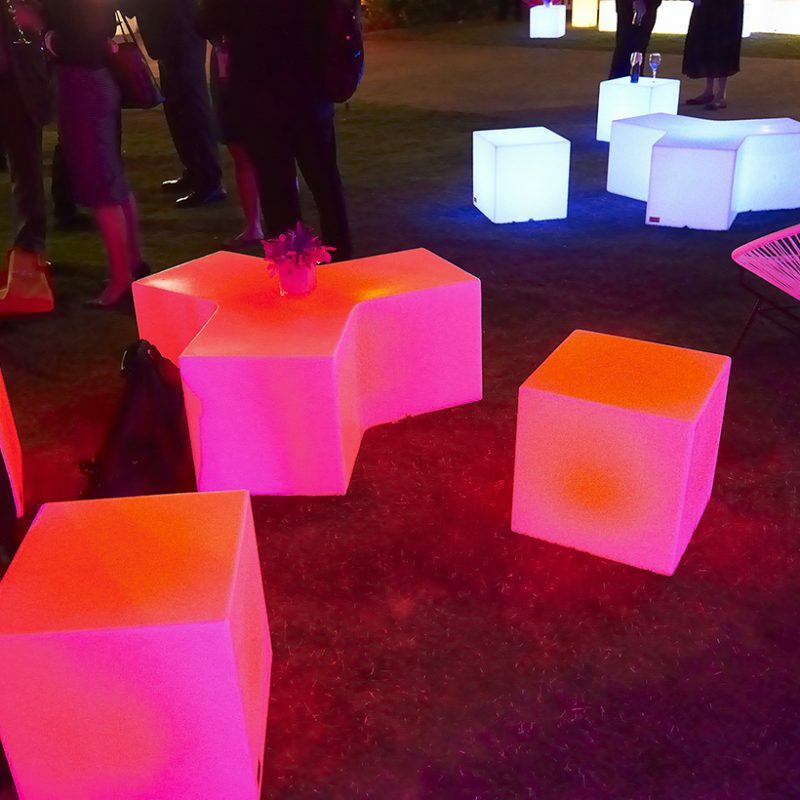 Lux also utilised our unique Slide glow furniture, including the Snake and Kubo Light Square ottomans, Rectangle Ice Bar and our colourful and vibrant Acapulco Chairs to add pops of colour. 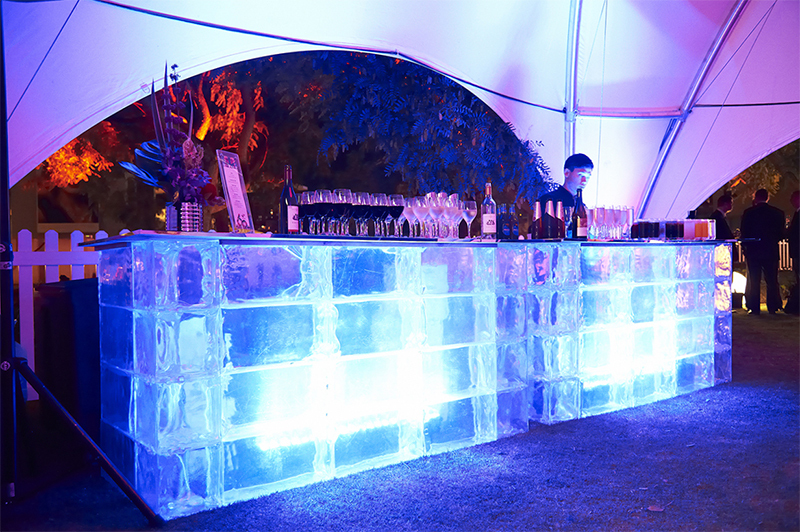 The combination of dome marquees, lighting, styling and decor choices made the garden space feel luxurious, providing sleek VIP comfort and ambience for guests.